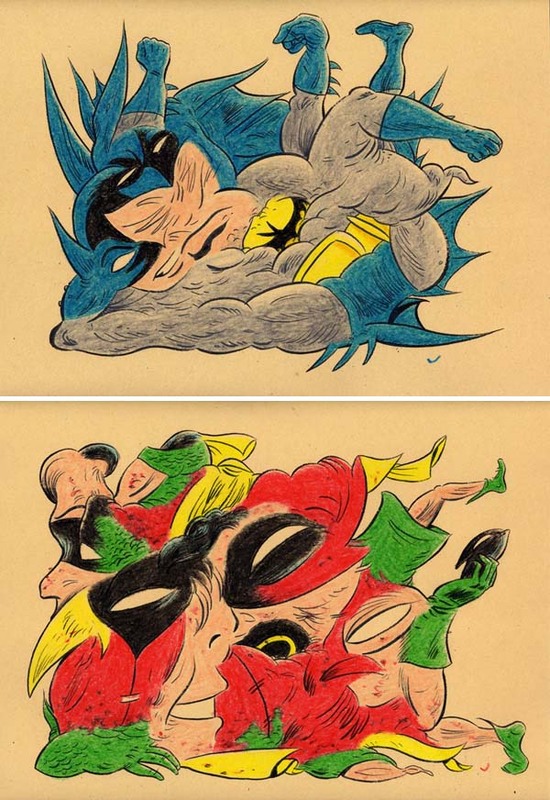 SUPER GEEKS- BATMAN & ROBIN! A special deal on the first two in a new series of "Super Geeks", carnival freak versions of popular comic book characters. India ink and wax crayon on heavyweight manilla drawing paper. Each are 12" x 9". $175.00 is for BOTH original drawings.